Broke Fordwich. I don’t even know what to ask. Is it an animal, a vegetable, or a mineral? Is it a person, a place or a thing? God forbid it should ever show up on a wine exam, and yet there it is, staring at me from page 243 of the CSW Study Guide. Damn. Before we go any further, here is the truth: Broke Fordwich is a place. 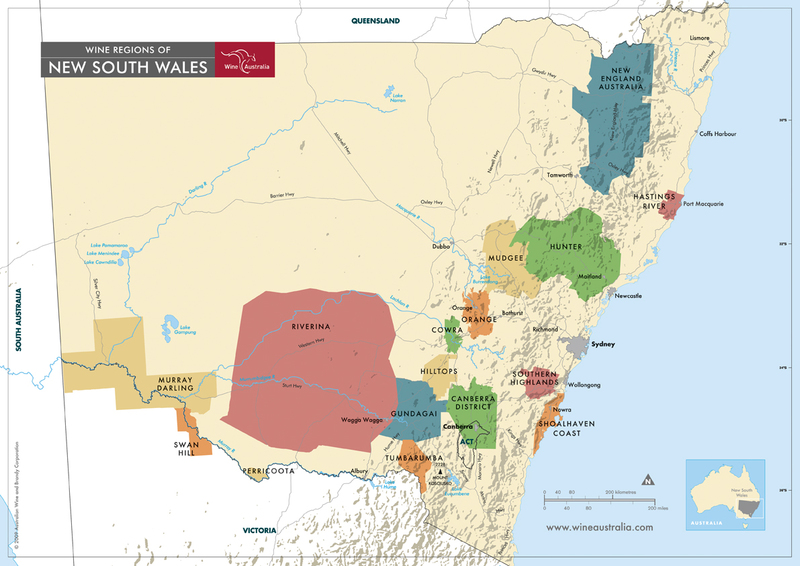 It’s a wine region in Australia; actually, it is a subregion of the Hunter Valley Zone (and the Hunter Region) in New South Wales. The name is derived from two small towns: Broke (population 636) and Fordwich (just to the north of Broke, and apparently with an even smaller population). As for the location, it is important to first remember that Australian Geographical Indications range from largest to smallest as follows: State > Zone > Region > Subregion. Following along, we can find the Broke Fordwich Subregion within the State of New South Wales, the Hunter Valley Zone, and the Hunter Region (simplified as such: New South Wales > Hunter Valley > Hunter > Broke Fordwich.) The Hunter Region has two other Subregions, Pokolbin and the Upper Hunter Valley. The website of Broke Fordwich (which is quite nice, and will make you want to plan a visit right now) describes the area’s location as “in the southwest corner of the mid Hunter Valley”. The area is quite beautiful, surrounded as it is by the Brokenback Mountain Range (part of the Great Dividing Range and NOT to be confused with Brokeback Mountain, which was supposedly in Wyoming). 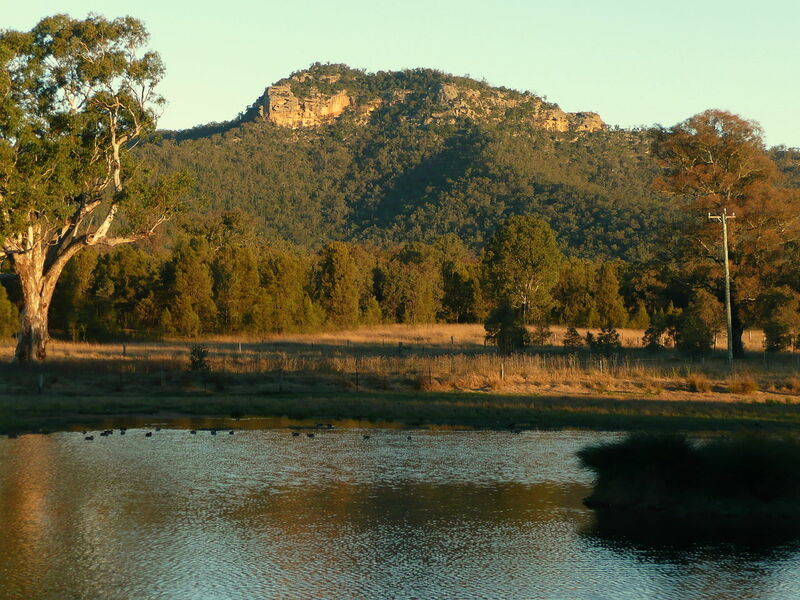 Local scenery includes views of Yellow Rock (a gorgeous escarpment) and the Wollemi Foothills. The Broke Fordwich Subregion is tucked between the Upper Hunter Valley to the northwest and Pokolbin to the east. It geographic boundaries follow the catchment of Wollombi Brook (a tributary of the Hunter River), which flows from its source in the Brokenback Mountains/Great Dividing Range north through the towns of Broke and Fordwich. Broke Fordwich became an official Geographical Indication in 1997. The basis for the boundaries include its unique soil, the climate-calming effects of the Wollombi Brook, and the rain shadow provided by the Brokenback Mountain Range which hugs (and partially encircles) the area to the west and south. The Fordwich Sill, a stretch of red weathered volcanic clay running through the area, is one of the unique soil features of Broke Fordwich. This basalt- and iron-rich soil absorbs moisture quickly and releases it slowly; an excellent feature for this dry area that sits at a balmy 32.5 degrees south latitude. The red soils of the Fordwich Sill are ideal for Cabernet Sauvignon and Merlot, and tend to produce grapes that are made into rich, soft-style wines. Other soils in the area include free-draining alluvial soils (heavy on the sand), which is widely planted to the area’s well-known Semillon and other white grapes. Broke Fordwich is responsible for about 14% of the total wine production of the Hunter Valley Zone. Not surprisingly, the most widely planted grape of the area – responsible for at least 30% of vineyard acreage – is Semillon. Semillon is followed by Shiraz, Verdelho, Chardonnay, and Merlot. A smattering of other grapes, including Cabernet Sauvignon, Barbera, Sangiovese, Tempranillo, and Pinot Noir, among others, are also grown. About that name: The town of Broke was founded in 1830 by Major Thomas Mitchell. Mitchell named the town in honor of his fellow Napoleonic War Veteran, Sir Charles Broke-Vere. 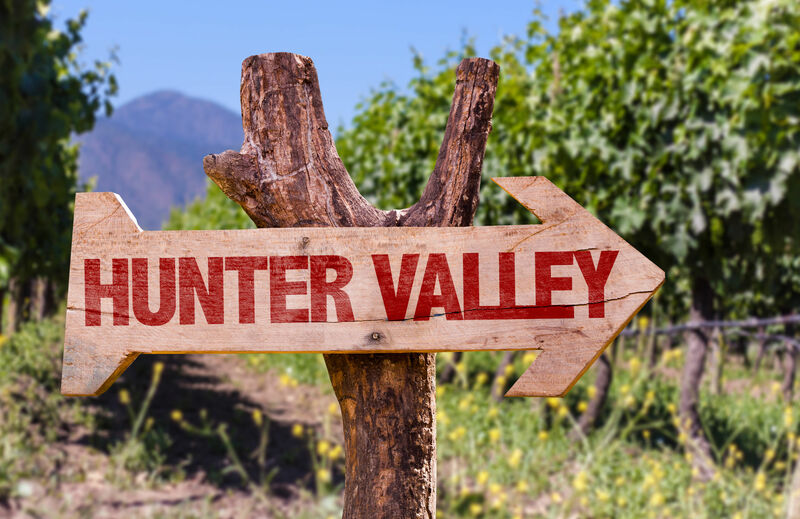 Confusion Corner: The terms “Hunter” and “Hunter Valley” are often used somewhat interchangeably, although technically the Hunter Valley is the larger zone which encompasses the Hunter Region. No one quite knows why the original decision was made to refer to the zone as “Hunter Valley” and the smaller region as “Hunter,” and it might not really matter: there’s very little difference between the outline of the Hunter Region and the only slightly larger Hunter Valley Zone. The region just shaves a little bit off of the edges on the western and northern boundaries, and excludes the area around the city of Newcastle on the coast. Halliday, James: Wine Atlas of Australia. Berkeley, 2008: University of California Press. Tucked away into the southwestern corner of France’s Cher département, the Châteaumeillant AOC is located quite literally in the outer limits of the Loire Valley wine region. About 45 miles south of Quincy, it’s the last Loire Valley AOC on the road out of town. The Châteaumeillant AOC is named after the town it surrounds in the foothills of the Massif Central. The town of Châteaumeillant has about 2,000 residents. The AOC of the same name somewhat straddles the line between the Indre and Cher départments. 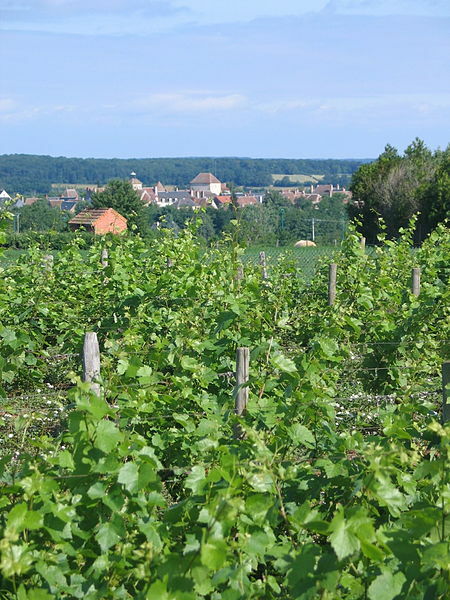 It has been called the most central vineyard in France—and it does appear to rest firmly in the middle of the country. Wine has been part of the local economy here since the fifth century BC, as proven by the discovery of over 300 amphora that were unearthed during a construction dig. In the fifth century, the area was a Roman town named Mediolanum. Due to its location, Mediolanum was an important part of the wine trade and something of a way-station for Italian wines being sent to troops stationed in (what was then) western Gaul. Some time later, the area began growing grapes and producing wine. The Châteaumeillant AOC is a small producer. There are currently just 173 acres (70 ha) dedicated to red wines and another 49 acres (20 ha) for rosé (vin gris). Red wines are made from a minimum of 40% Gamay with Pinot Noir allowed to fill in the rest. The pale vin gris (rosé) is made from the same basic formula, but also allows for a maximum of 15% Pinot Gris in the blend. Rumor has it that the appellation is going to steadily increase the minimum portion of Gamay until it reaches 60% sometime after the year 2027. White wines made primarily from Chardonnay and Sauvignon Blanc are also produced in the region, but are labeled with Val de Loire IGP status. Châteaumeillant became a vin délimité de qualité supérieure (the now-defunct VDQS category) in 1965 and was promoted to AOC status in 2010. 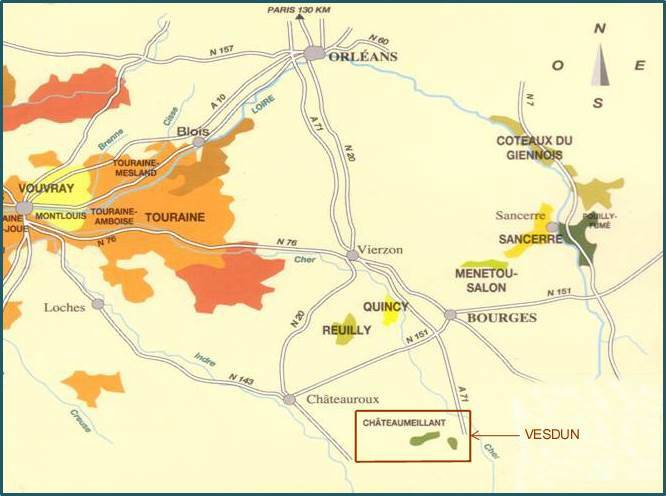 There seem to be only around 10 wine estates in the area; noted producers include Domaine Roux, Domaine Goyer, and Domaine du Chaillot. If you would like to visit Châteaumeillant, it’s about a two-and-a-half hour drive from Paris. 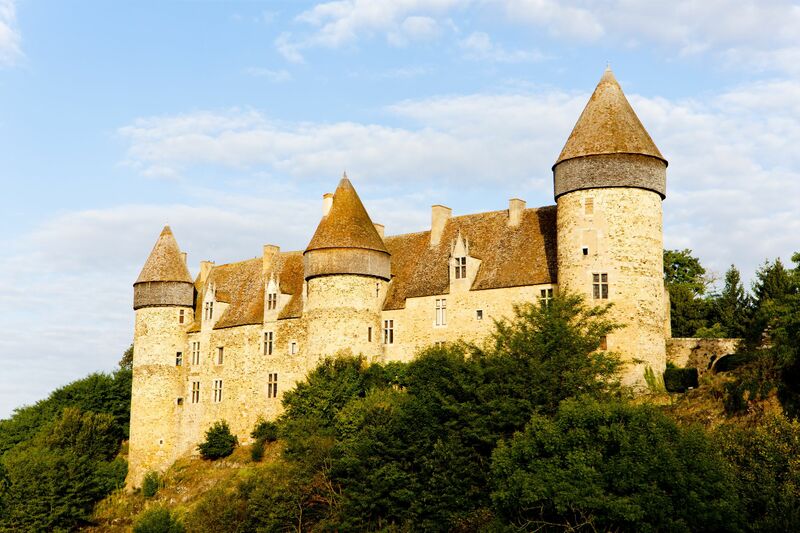 Once there, you can see the ancient amphora of the region at the Archeological Museum of Chateaumeillant, tour Culan Castle (built in the 13th century), and visit the Chapitre d’Albret (dating from the 1500s). The region also has a variety of farms that produce some of the Loire Valley’s famous goat cheeses, which should be a great match with the vin gris of the AOC Châteaumeillant. It sounds like a trip to the outer limits that you might enjoy!